Contra Costa County’s small claims court division handles cases in four different courthouses. 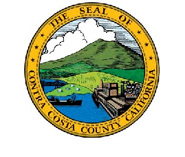 Contra Costa County Small Claims Court hears cases at four different locations. Each courthouse serves a different area. The courthouse is open from 8:00 a.m. to 5:00 p.m., Monday through Friday, except court holidays. The telephone number is (925) 646-5410. Filing clerk windows are open from 8:00 p.m. through 3:00 p.m. The courthouse is open from 8:00 a.m. to 5:00 p.m., Monday through Friday, except court holidays. The telephone number is (925) 427-8159. Filing clerk windows are open from 8:00 p.m. through 3:00 p.m. The courthouse is open from 8:00 a.m. to 5:00 p.m., Monday through Friday, except court holidays. The telephone number is (510) 374-3137. Filing clerk windows are open from 8:00 p.m. through 3:00 p.m. The courthouse is open from 8:00 a.m. to 5:00 p.m., Monday through Friday, except court holidays. The telephone number is (925) 646-6578. Filing clerk windows are open from 8:00 p.m. through 3:00 p.m.